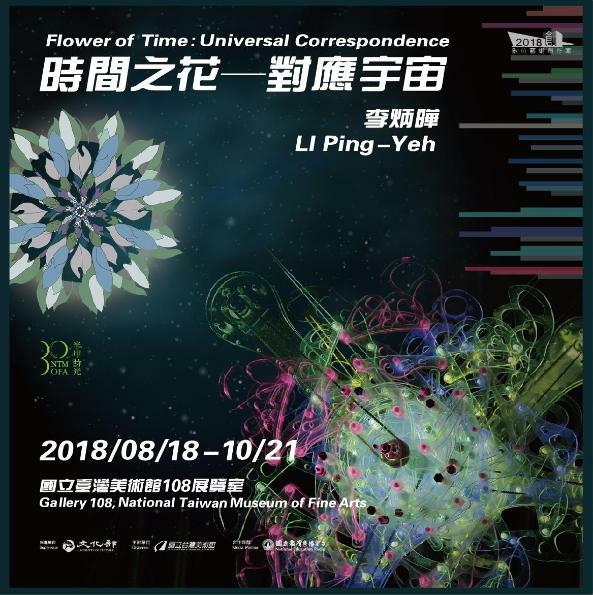 "Flower of Time: Universal Correspondence" — a hybrid space created by Taiwan artist Li Ping-yeh (李炳曄) with electromechanical devices and digitally generative panoramic animation — will offer an immersive experience at the Taichung-based National Taiwan Museum of Fine Arts from Aug. 18 through Oct. 21. 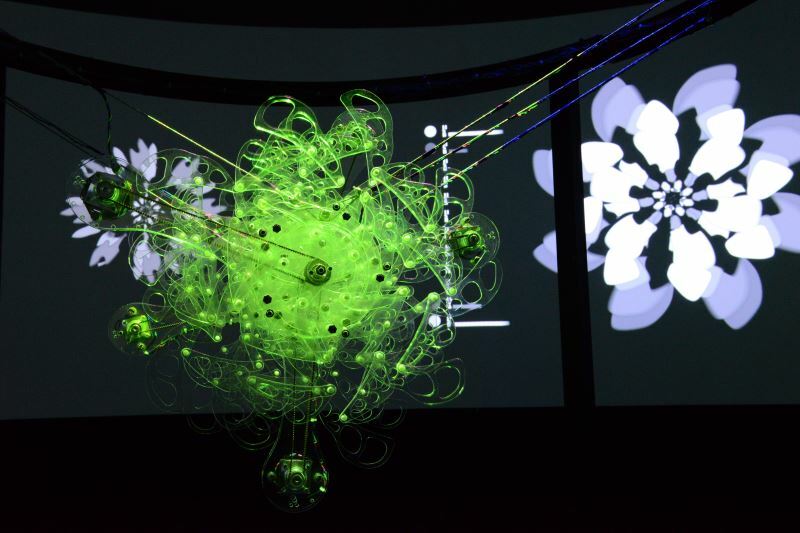 Yeh, 36, was inspired by the correspondence between microcosms and macrocosms, which is a delicate subject of esotericism. 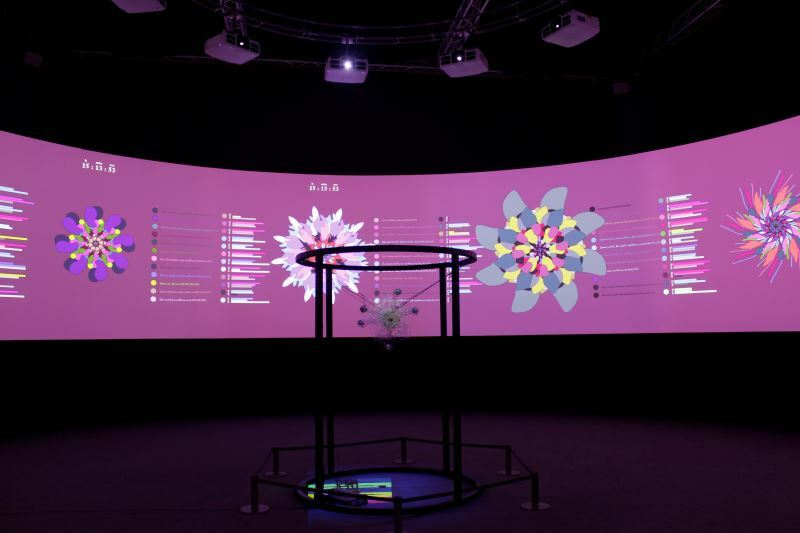 For example, the Theory of the Five Elements views the world as a state of dynamic equilibrium, wherein all aspects of human life are oriented towards the harmonious engagements underpinning such equilibrium. 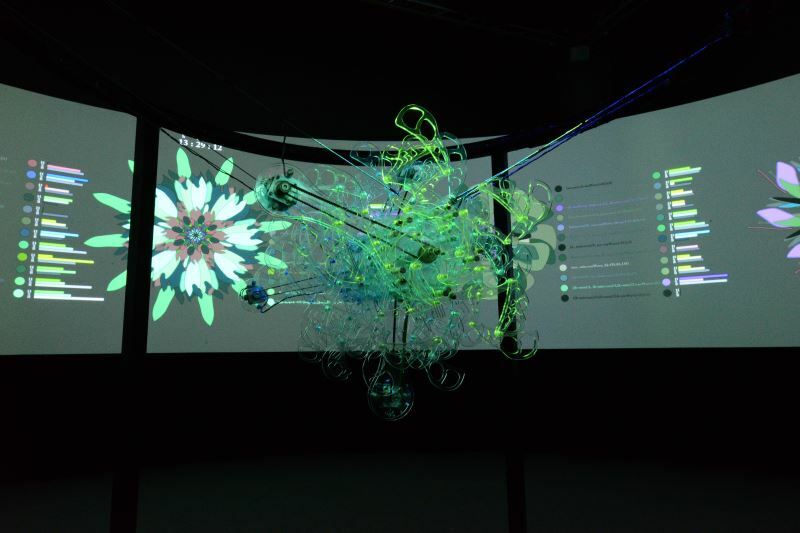 By blending different techniques spanning digital fabrication, microchip-based electromechanical control, data mapping, and real-life image projection design, "Flower of Time: Universal Correspondence" becomes a space where temporal data are constantly transformed into physical experiences. 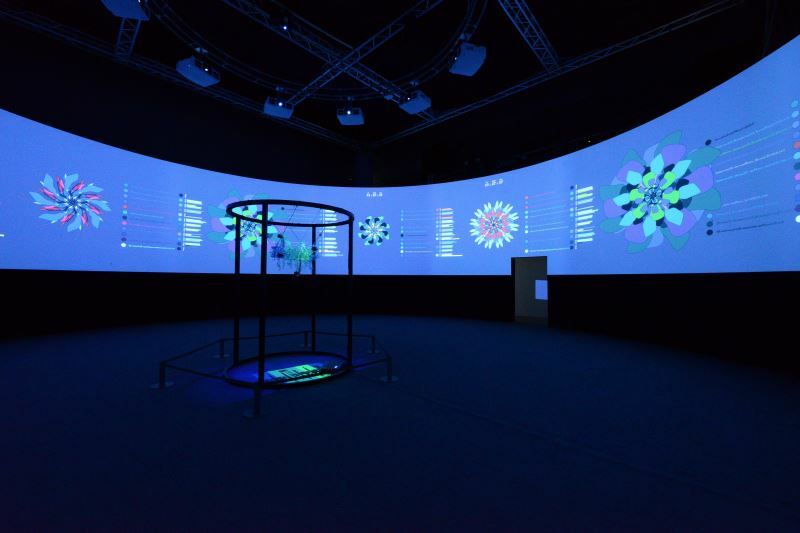 Moreover, all audiovisual elements in this space, from colors and forms to rhythm and sound, are reflected with all their subtle nuances. 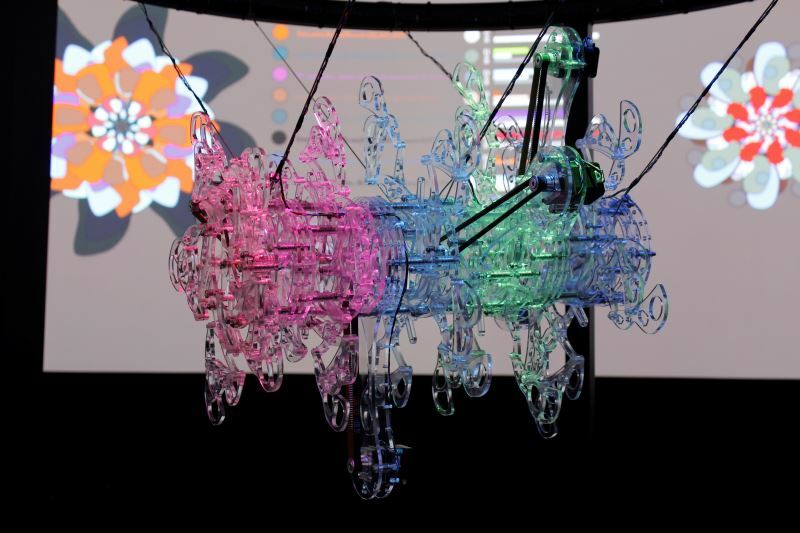 Yeh's performative mechanical installation née animated projection is dedicated to highlighting the richness and possibilities of the present by immersing the viewers in the breath of time. 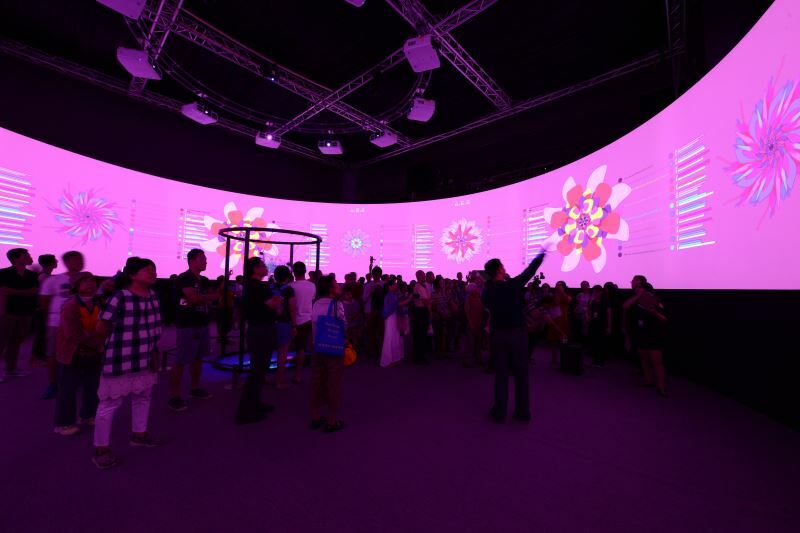 To wit, the immersive experience is underpinned by the philosophical concept of "seeing the whole world in a grain of sand" – urging viewers to identify an overarching trend from one small clue, and to observe the accumulation of fine dust embodying the boundless universe. 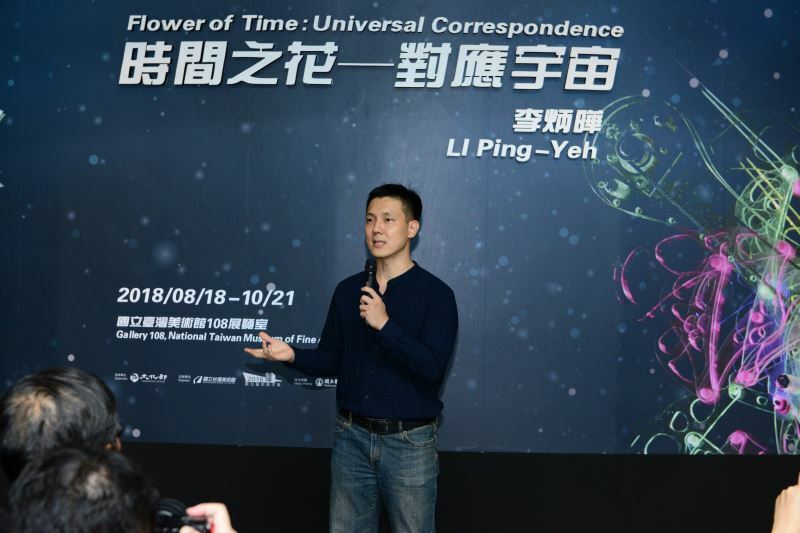 "Flower of Time: Universal Correspondence" is a 2018 subsidy recipient of the National Taiwan Museum of Fine Arts' annual Digital Art Creation Competition Program, which offers up to NT$100,000 in commission to support digital and mixed media projects tailored for the museum's immersive Cyclorama Theater. Visitors Today:95. All Time Visitors:1,229,902.